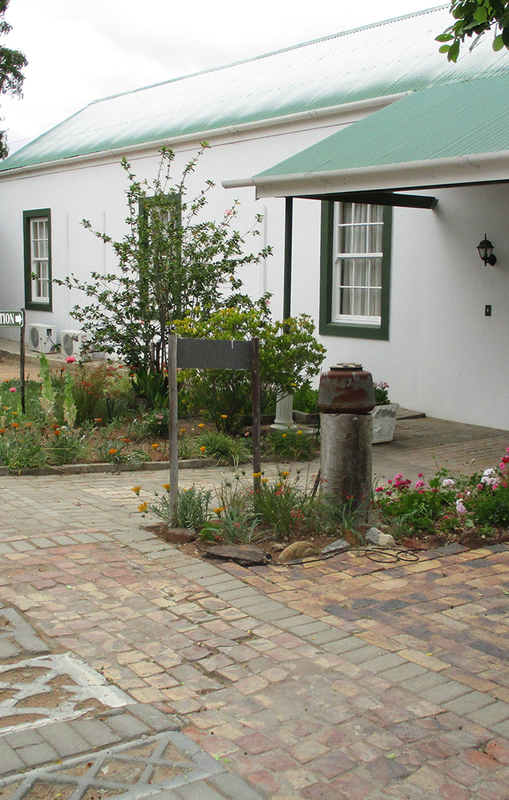 Established as a guesthouse in 1985, this old Victorian house, built between 1902 and 1904 was the retirement home of one Izac Van Zyl of the farm ‘Atties’. Between 2001 and 2002 the original establishment, purchased by Ernest Emslie and Herbert Howe, was then extended to its current form. Ernest, who was an architect and artist, designed the new lay-out keeping much of the old character in the new extensions. The guesthouse today is run by Herbert, Terence and Richard (our latest arrival), along with our long standing staff, Hester Matroos and Willem Mouton, without whom the house would not function. Situated in the town of Vanrhynsdorp, where one is still able to take an evening stroll and star gaze without having to fear of being accosted. We are ideally situated for visitors to explore the West Coast and Hantam Karoo or to break the long journey to or from Namibia. The guest house offers warm hospitality and homeliness with all our guests invited to make themselves at home. We are pet friendly, and Gigi, our own Labrador, cannot wait to welcome guests especially children.. The guest house offers comfortable accommodation in three double, three twin and two family rooms all en-suite with air conditioning as well as remote controlled bed lamps. A guest lounge with large flat screen TV fitted with Premium Dstv and surround sound is available for the enjoyment of guests. We also offer a communal tea and coffee station open 24/7 to all guests with unlimited access. A secure swimming pool plus braai area is available for those hot summer evenings when our guests want to relax with their family away from home. Free Wi-Fi available.. The bird bath courtyard is worth spending time in watching the array of feathered friends coming for a drink or playing around in the bird bath. We, the Van Rhyn Guest House family, wish to extend to all an invitation to visit and put us to the test. For us it gives much joy and satisfaction to see our guests happy, content and enjoying all the house has to offer. The Van Rhyn guest house hosts an opera appreciation get-together on the second Saturday of each month at 16:00. This takes the form of a DVD viewing presented by Terence Kedian. Armed with a plate of snacks for your admission, you are guaranteed to enjoy the evening with fellow opera lovers. 06.08.18 - 16.09.18 - During flowerseason: Bed Only - R 425 p.p.p.n. sharing and R550 p.p.p.n. Breakfast provided when arranged on arrival - rate depend on breakfast choice. Rate R45 to R100 per person. Dinner provided by prior arrangement. We have eight rooms - two are family rooms.